Some of the poker world's most deep-pocketed players will be heading to the Caribbean later this year after the World Poker Tour confirmed it will be staging another super high roller tournament in St Kitts. The $100,000 buy-in WPT Alpha 8 tournament will be hosted by Bill Perkins and take place at the Royal Beach Casino from 2 November. One player definitely taking part this year will be recent EPT Barcelona winner Olivier Busquet. The American took his career earnings to almost $6m after claiming the title, and the $1,188,996 first prize, in the European opener. Plenty of other notable names are expected to join him with organisers expecting more than the 28-runners that took part last time out. 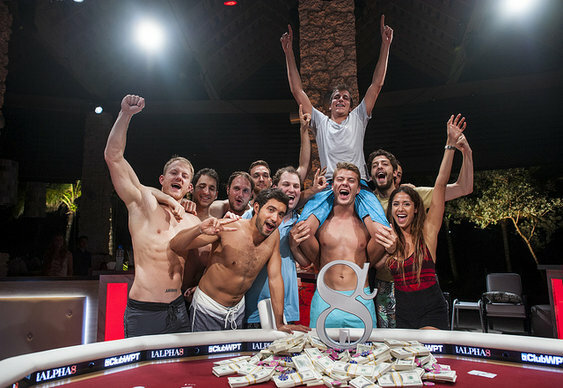 German high roller Philipp Gruissem was 2013's winner. He beat Britain's Tom MacDonald heads-up to claim a first prize of $1,086,000.